This weapon had no cutting edges. It was meant for pointing, not for cutting. The “X” shaped cross section tore blood vessels so much apart that they did not close any more. 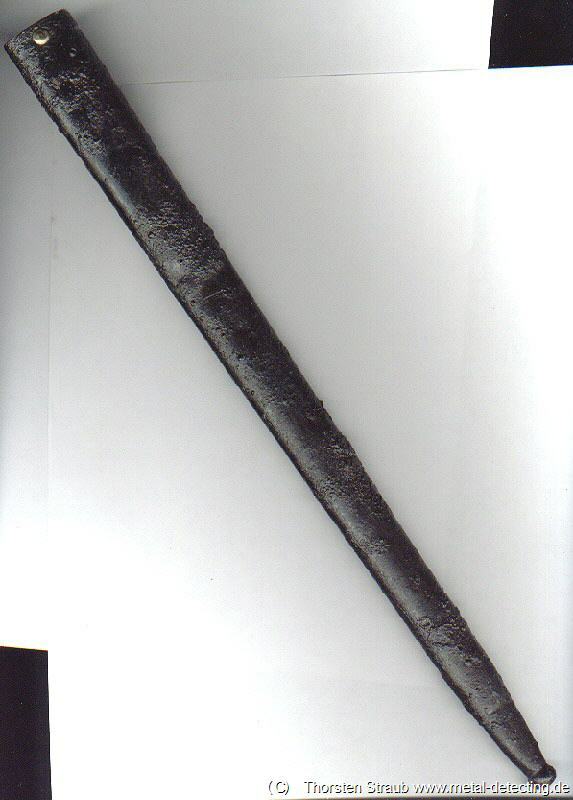 Expressing French sense of style this bayonet had a copper alloy handle which is unsual. French Bayonet M 1916. Find state. French Bayonets M 1916. Cleaned State. 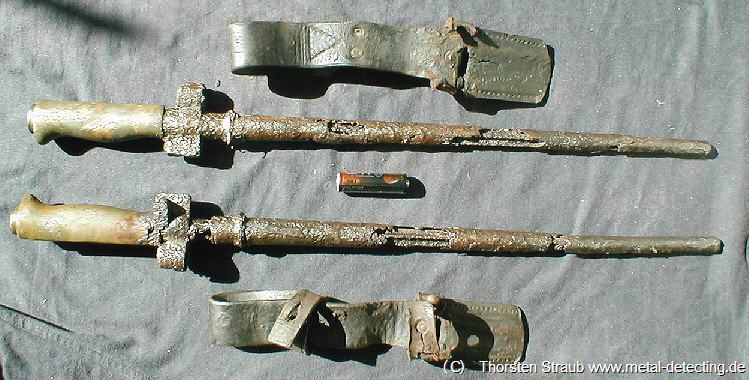 The damage scabbards reveal the weapons. Since the pieces were cached in most ground even the leather parts survived in good condition. French Bayonet M 1916. Cleaned State Detail.